Energy Medicine has been called the "Gray's Anatomy of the subtle body." It weaves together the author's fascinating story, the invisible world of the energies which she works, pertinent research, cross cultural understanding, spell-binding case histories, and most important a systematic and comprehensive program for self-healing and for "keeping your energies humming." 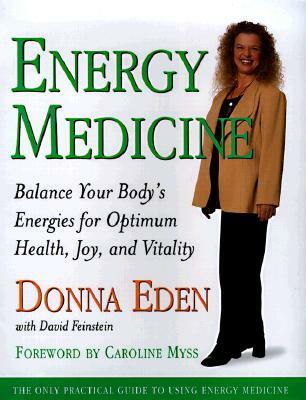 Featuring extensive updates and revisions drawn from Donna Eden's work with thousands of patients and students over the past decade, this revised edition includes a new introduction by the author and a new section on energy techniques to protect and heal the body when surgery, chemotherapy, or other invasive medical procedures are necessary. Donna Eden has taught thousands of self-empowering alternative health workshops around the world. Her bestseller with David Feinstein, "Energy Medicine," has been translated into a dozen languages; her book "Energy Medicine for Women," also co-authored with David Feinstein, is another classic in the field. She lives in San Diego. Dondi Dahlin, Donna Eden's youngest daughter, was raised with energy medicine as a part of her everyday life. An actress and professional dancer who has performed in more than twenty countries, she lives in San Diego.